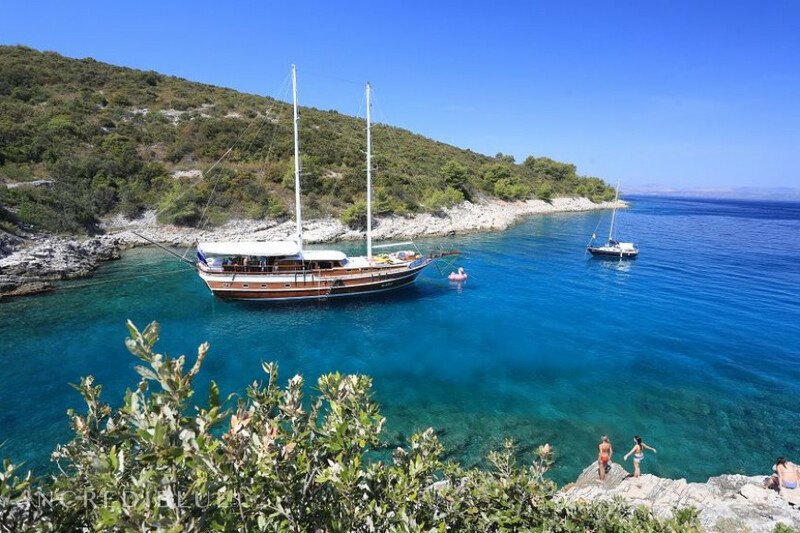 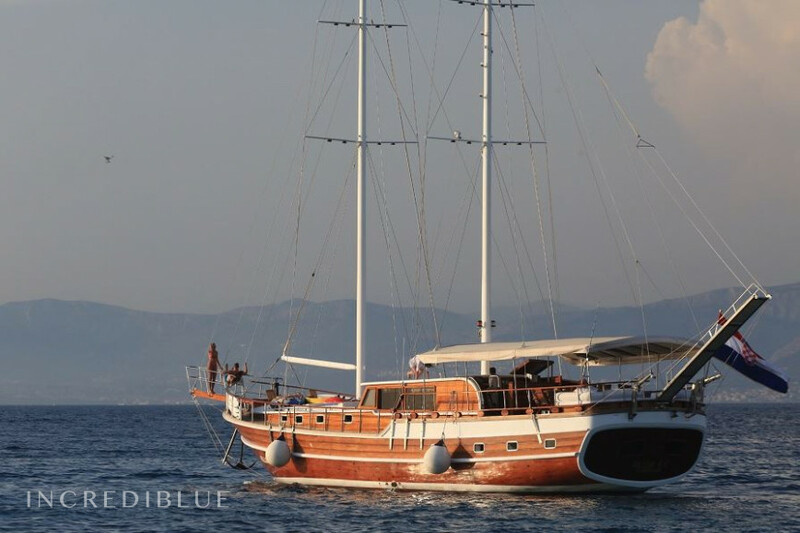 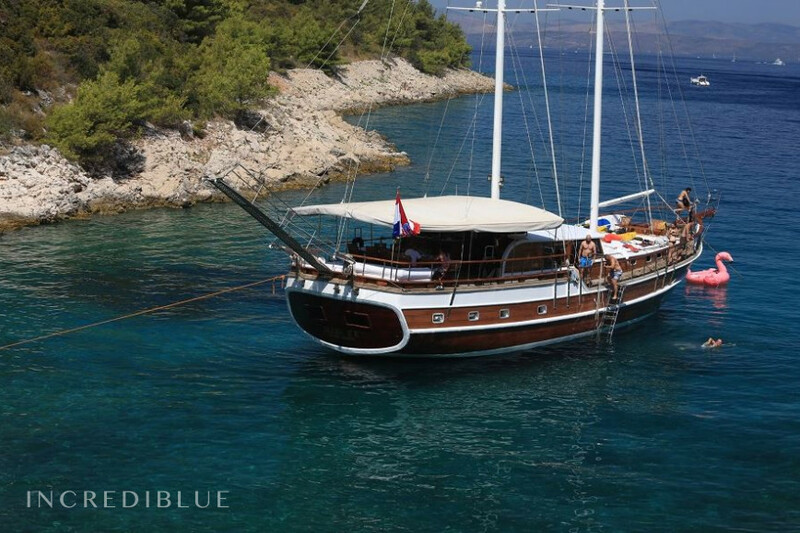 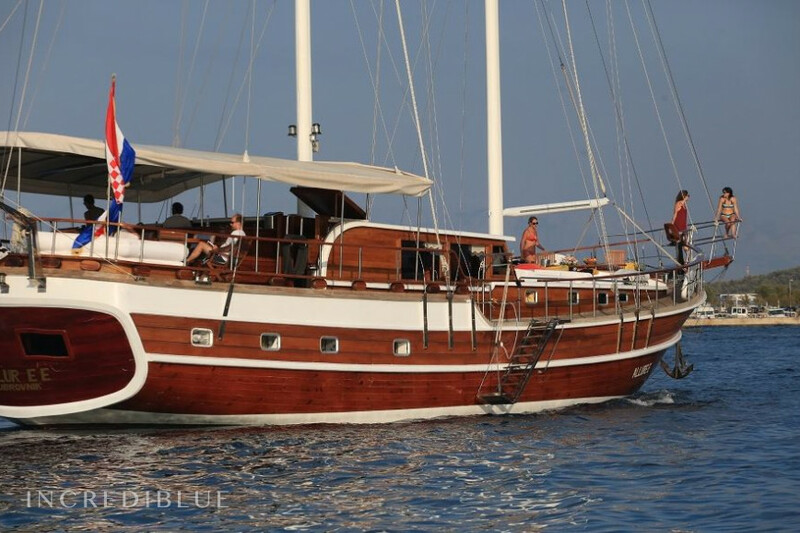 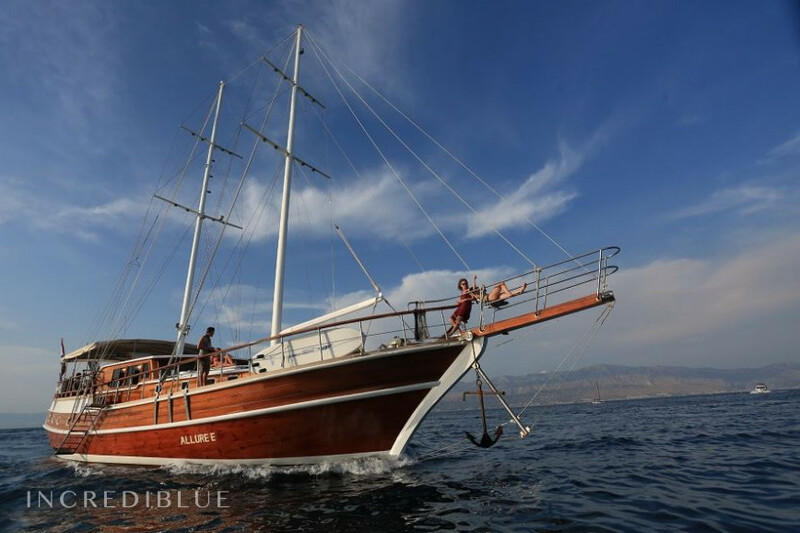 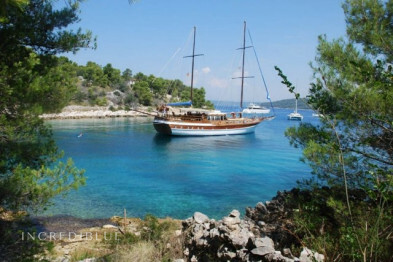 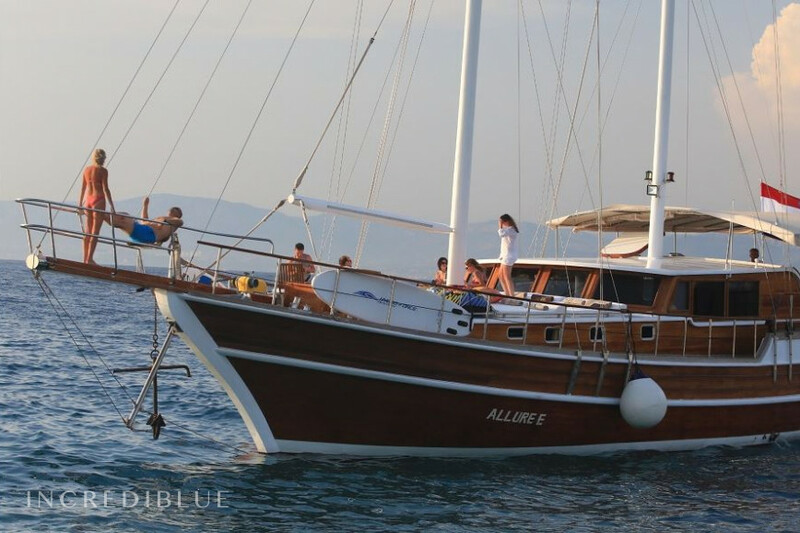 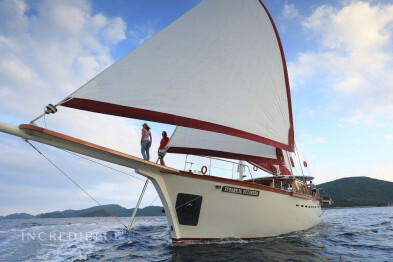 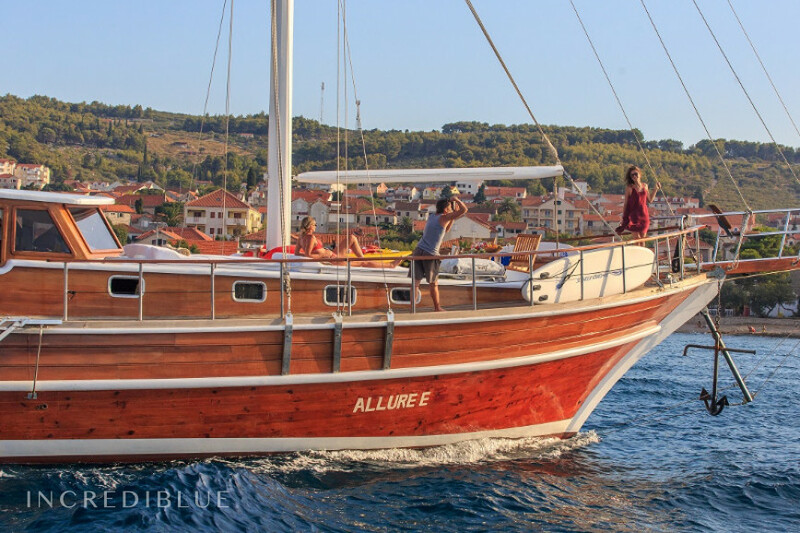 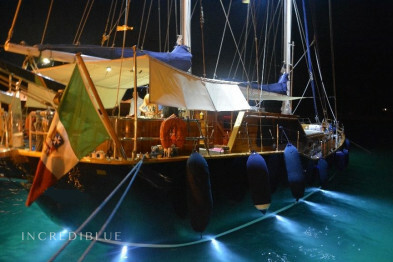 Elegant gulet to sail in Croatia with 28 meters in lenght and capacity for 14 passengers. 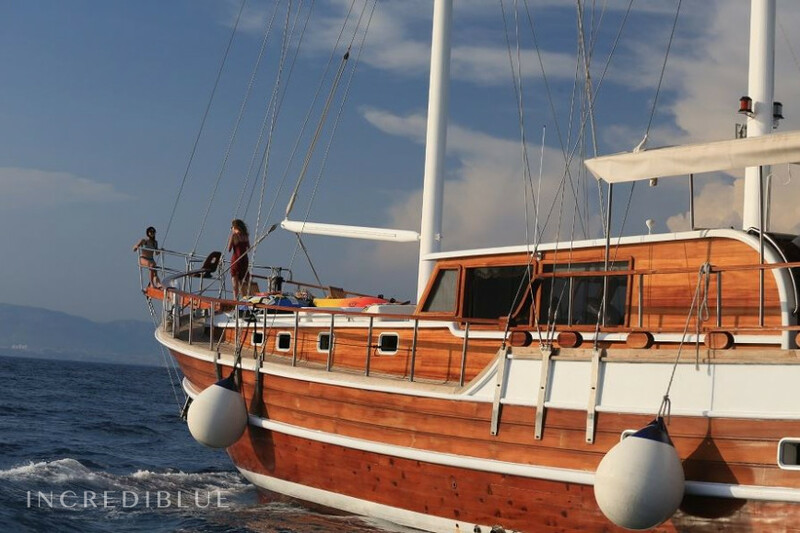 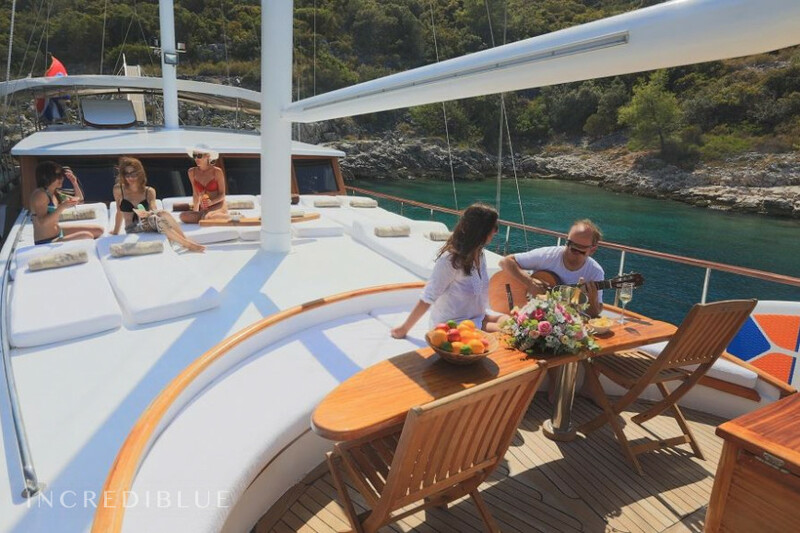 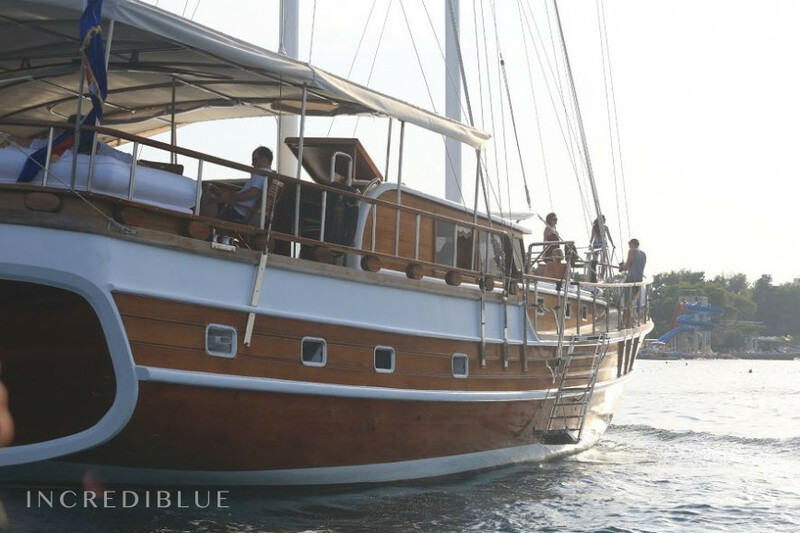 This gulet, built in 2011, and with a refit from 2016, maintains the traditional class of a gulet but with a modern engineering and amenities. 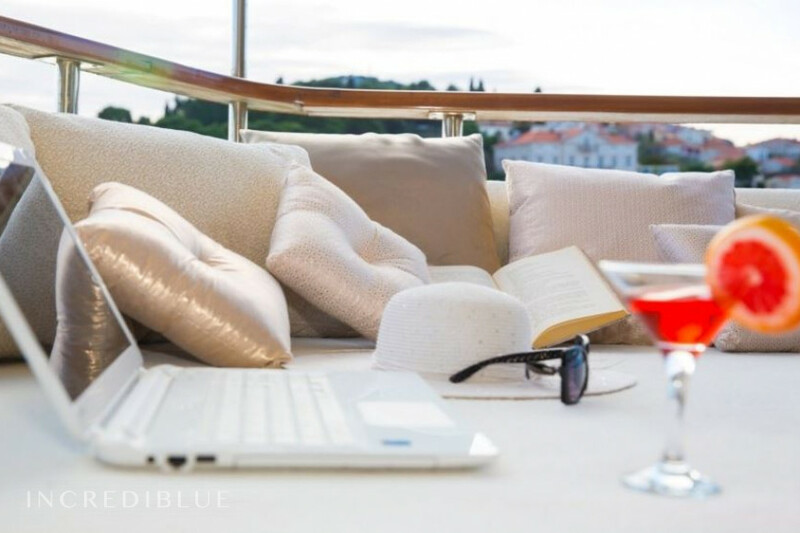 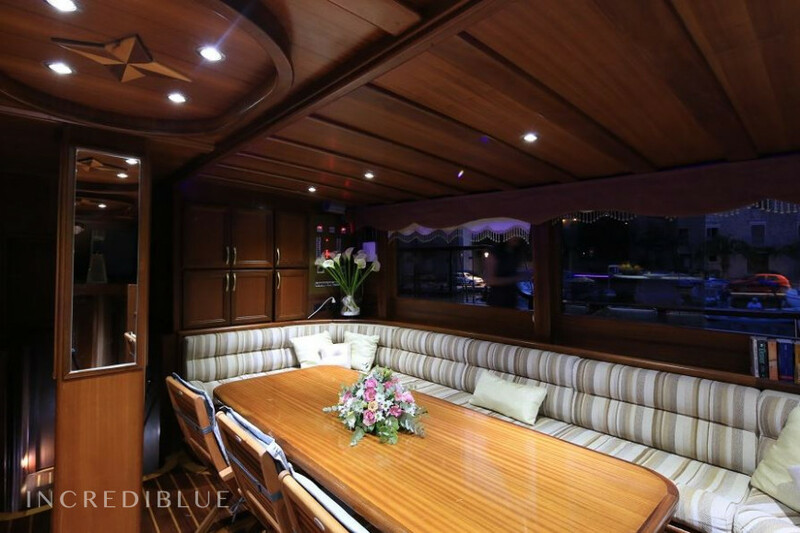 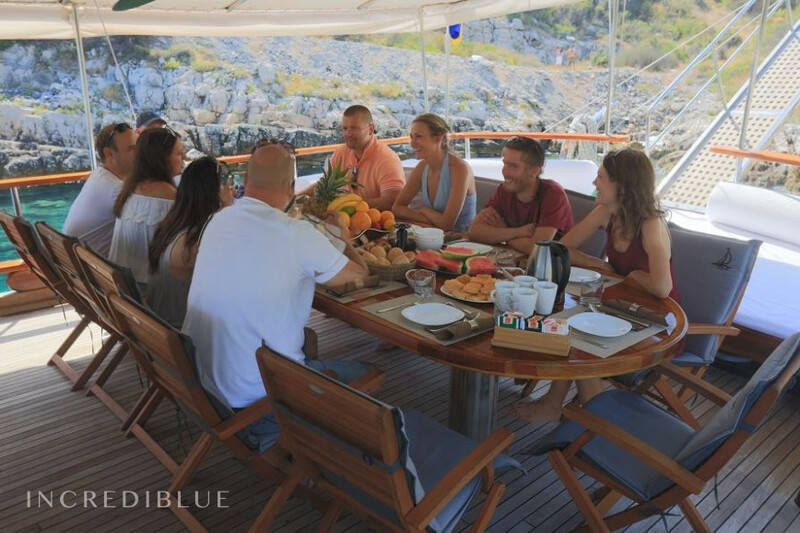 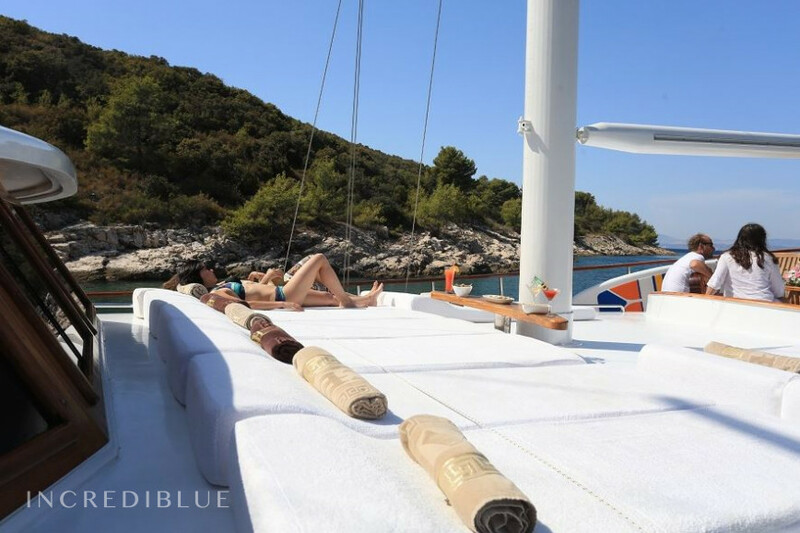 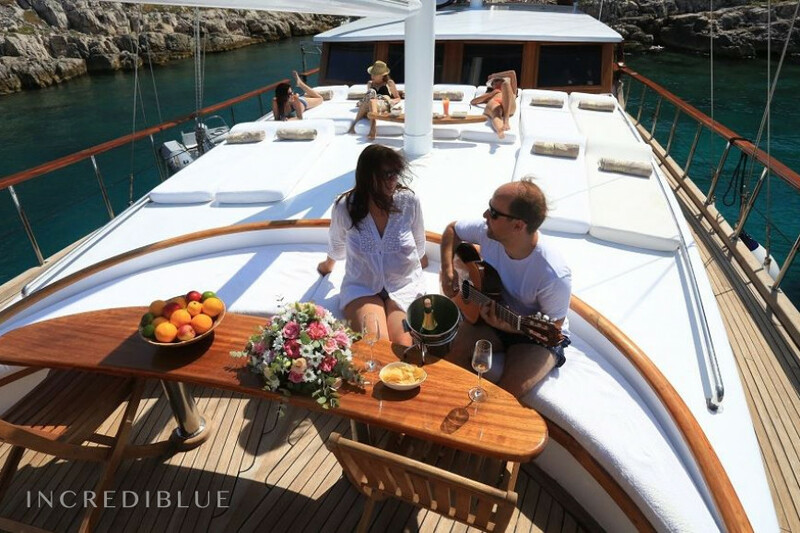 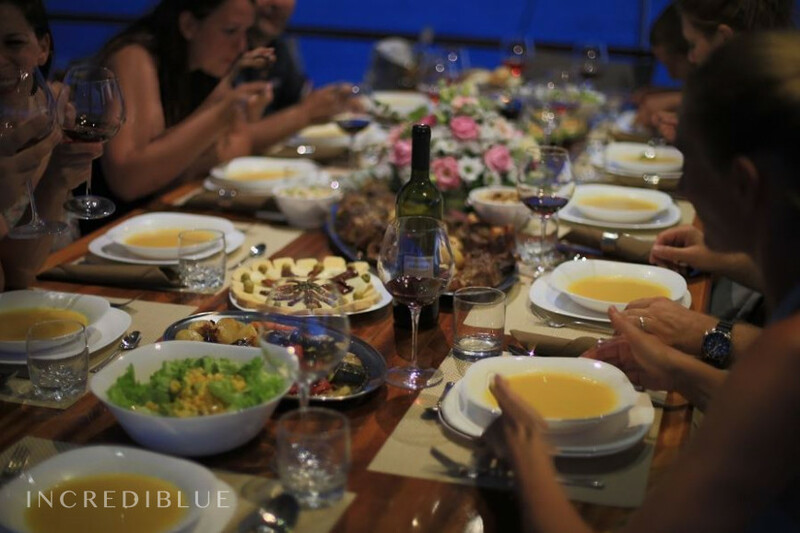 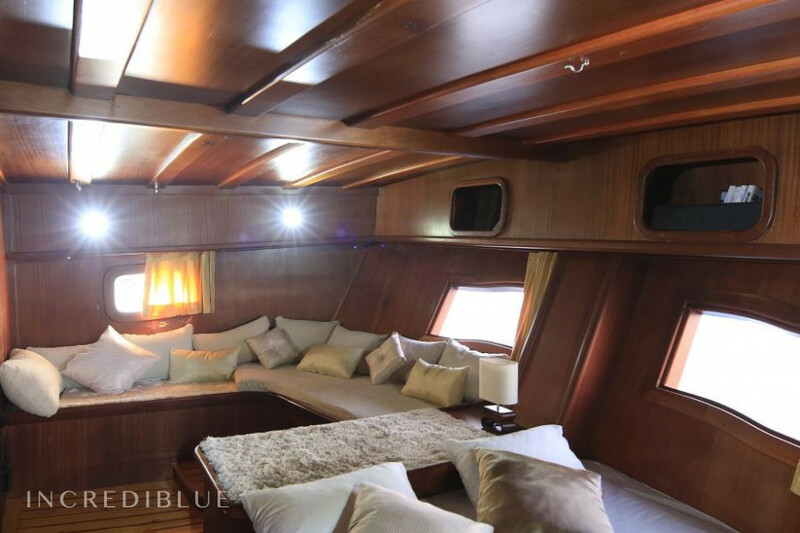 In the exterior, all the front deck is well equipped with comfortable large cushions, perfect for guests to relax and sunbathe, and enjoy the views while sailing, also with a cocktail table. 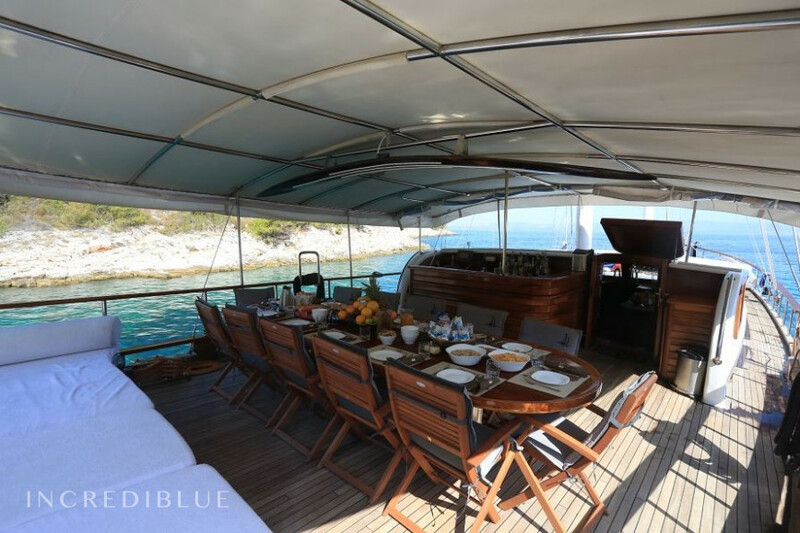 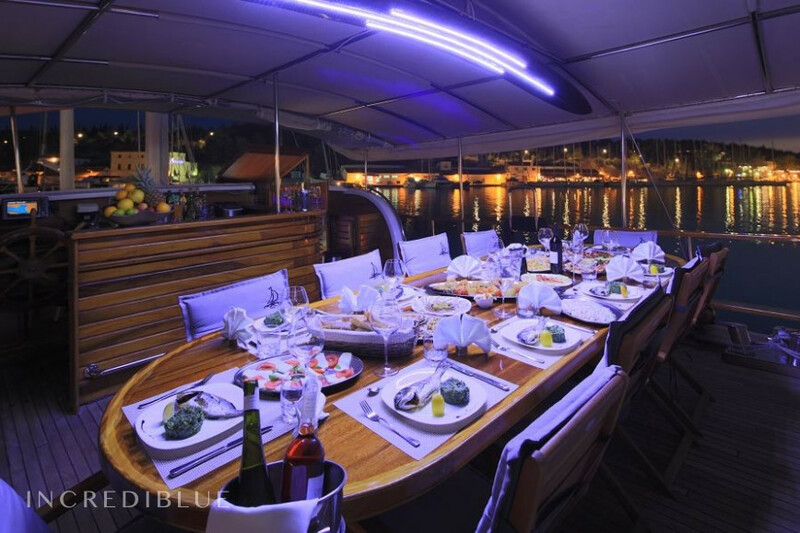 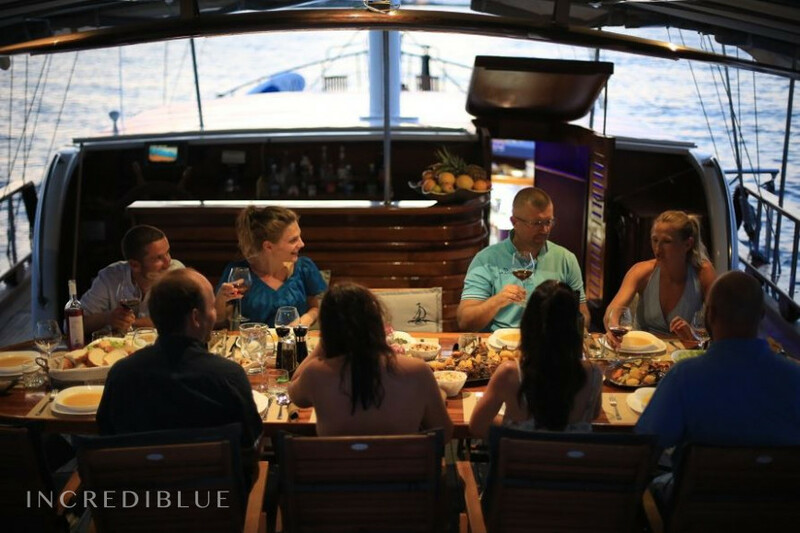 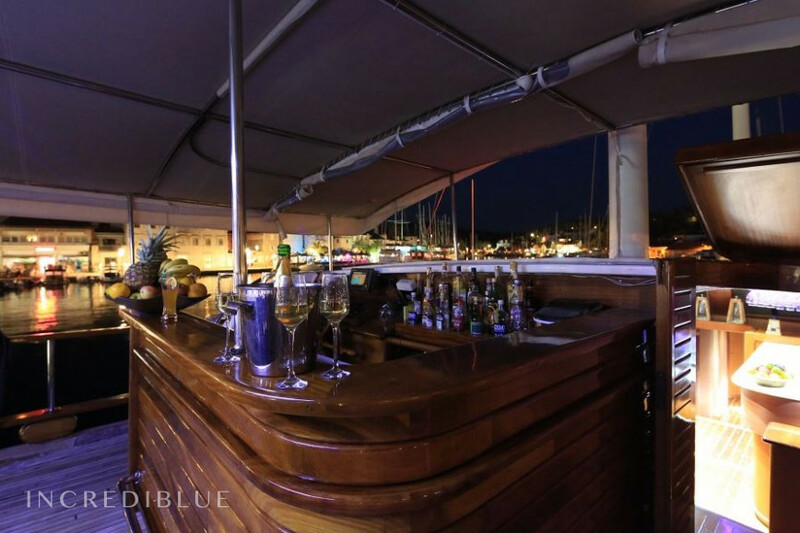 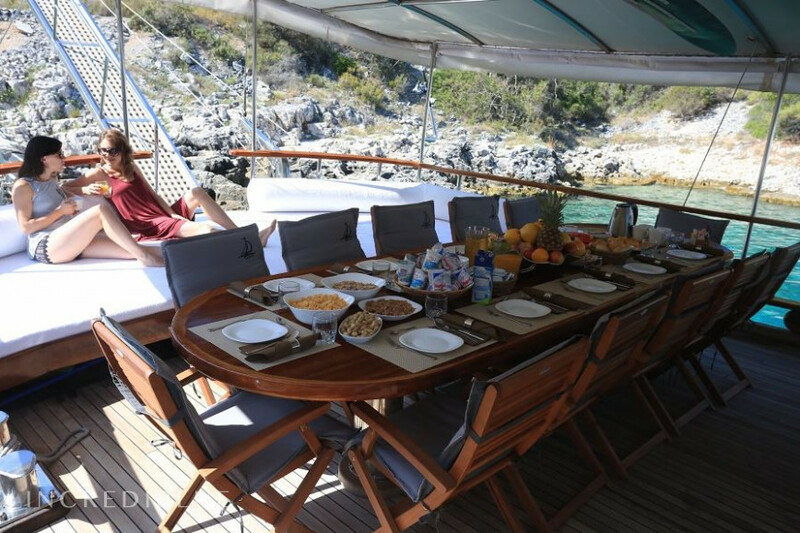 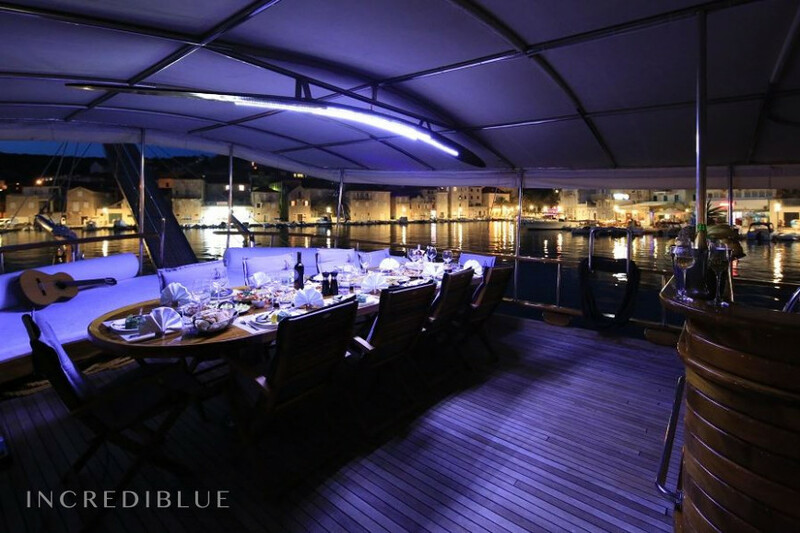 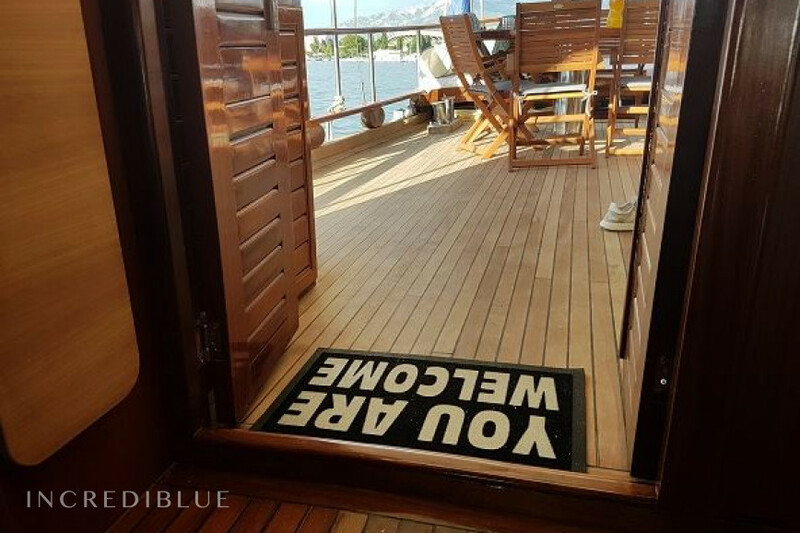 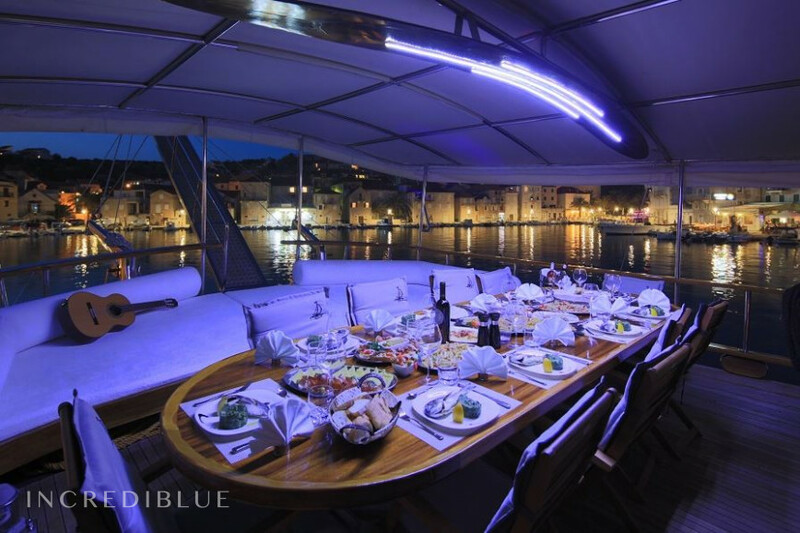 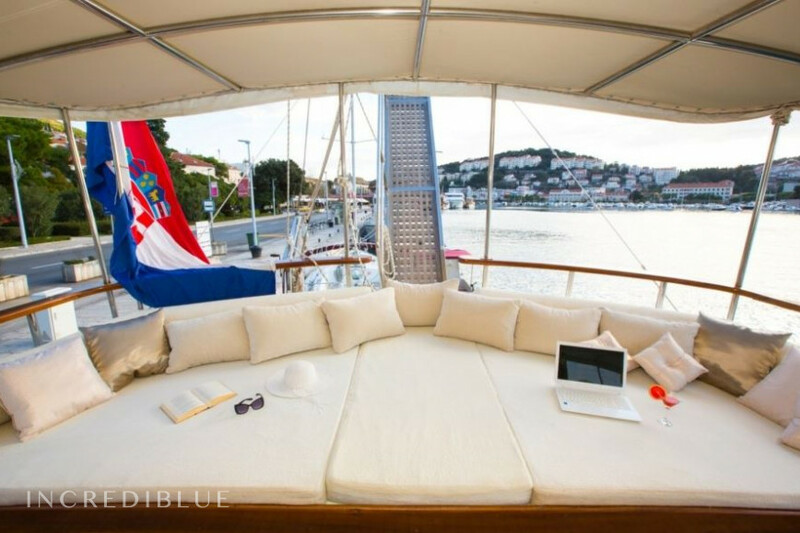 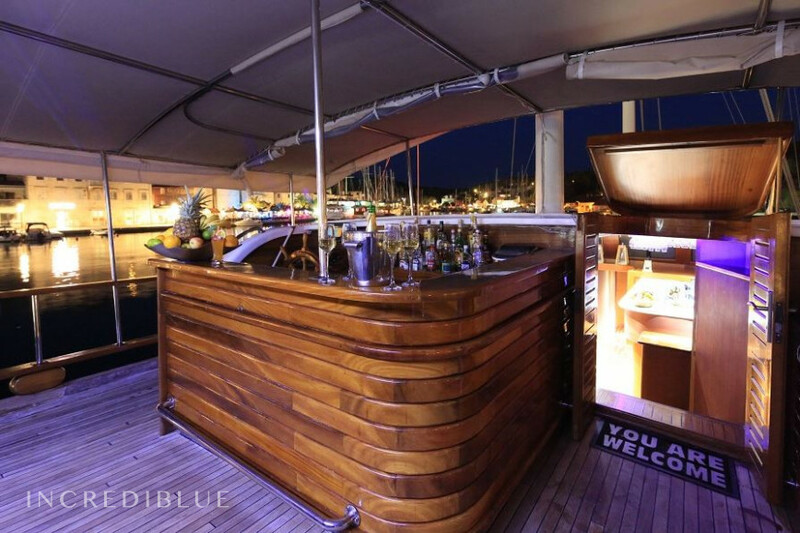 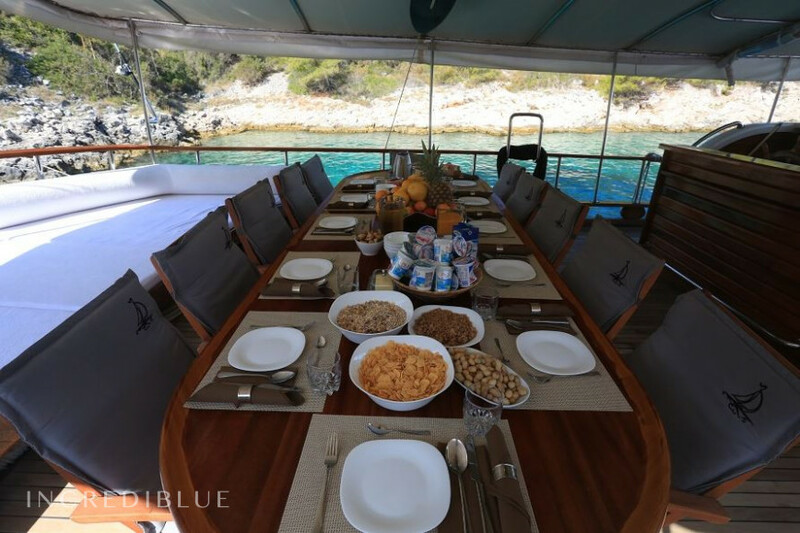 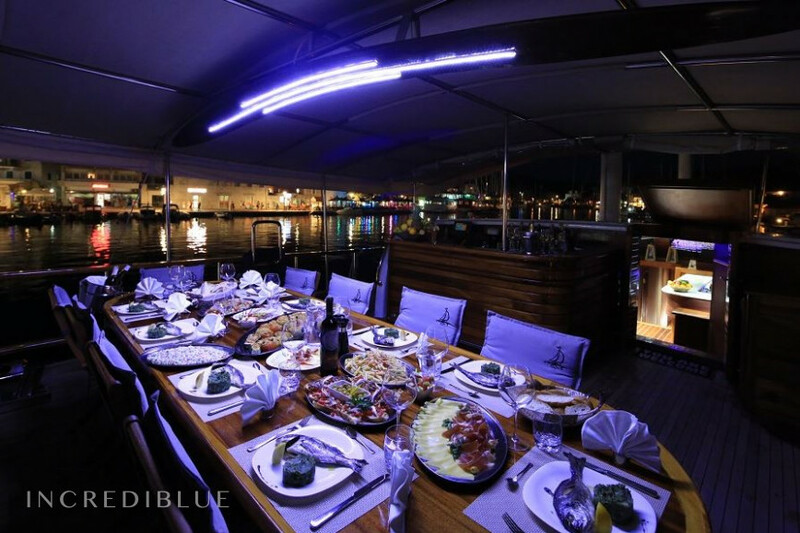 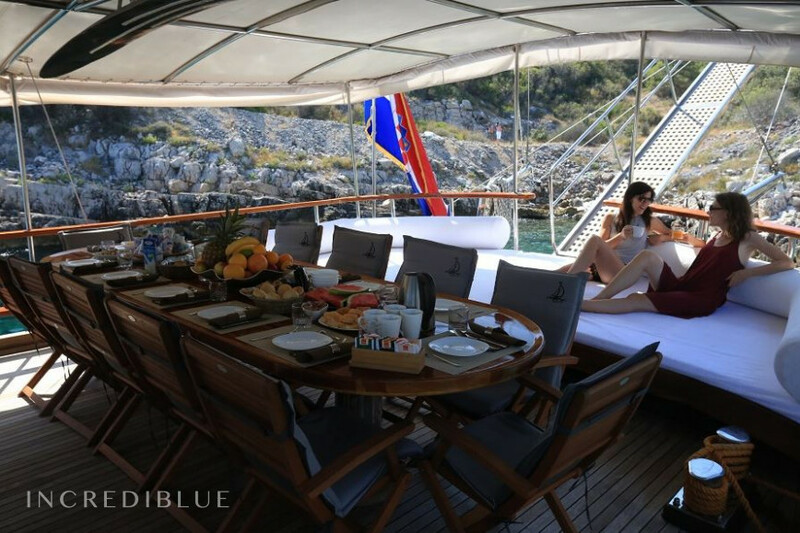 At the aft deck there is a broad space also with cushions, a bar, and a large wooden dining table. 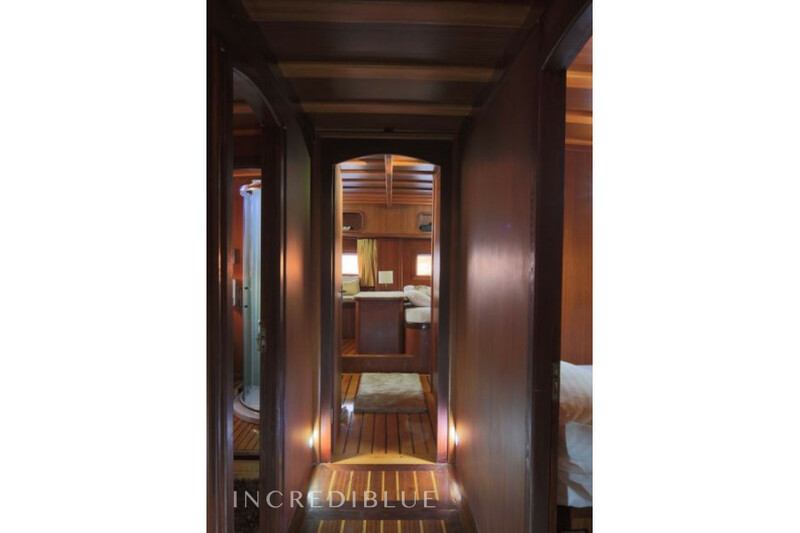 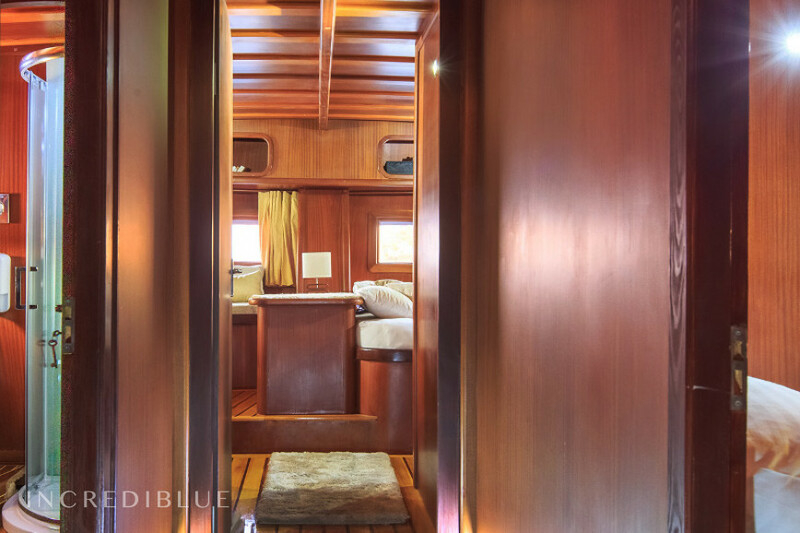 Its inside, all in handcrafted mahogany, offers the main living room and 7 luxurious cabins, all fully air-conditioned. 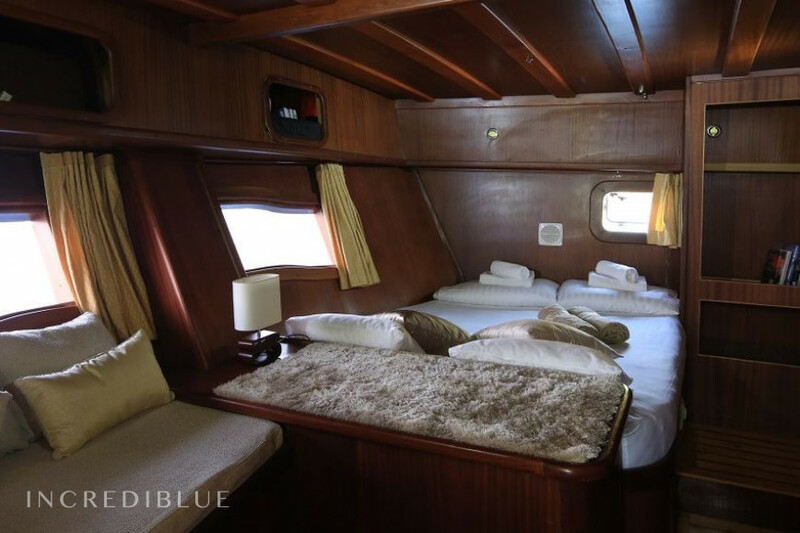 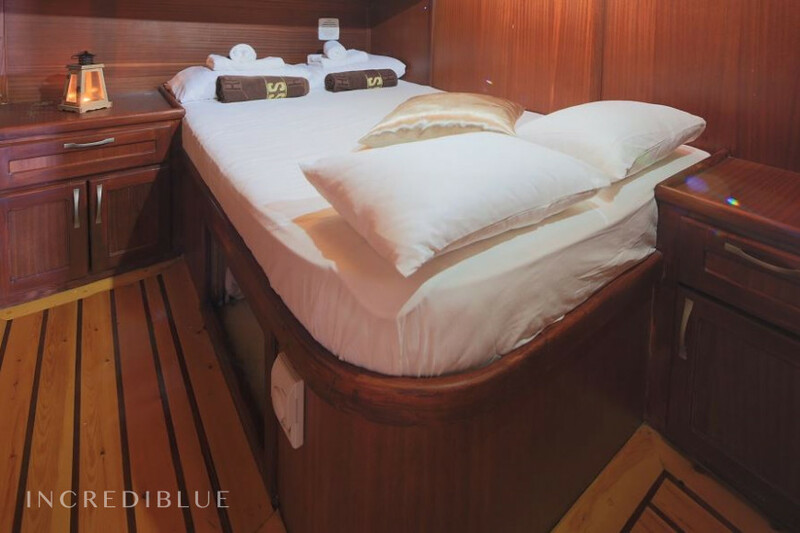 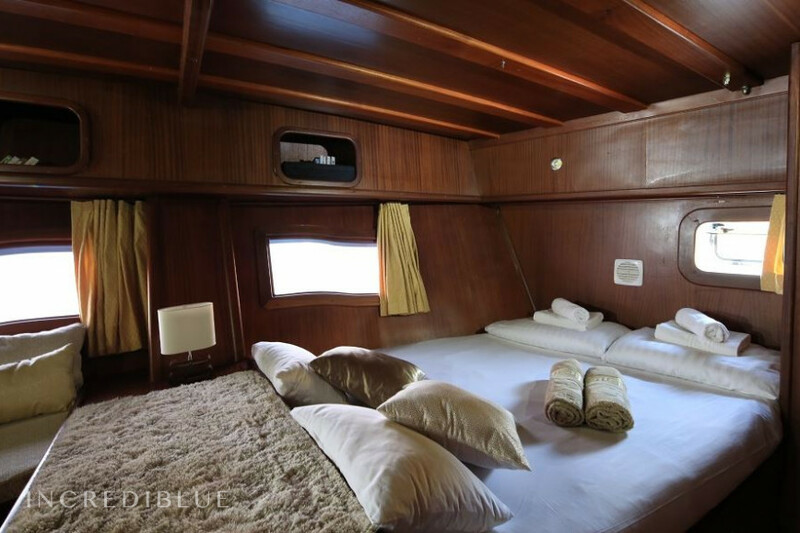 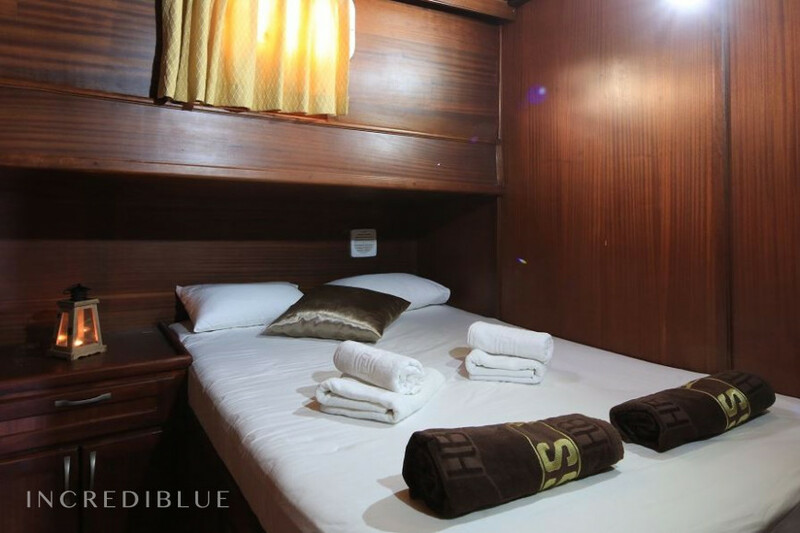 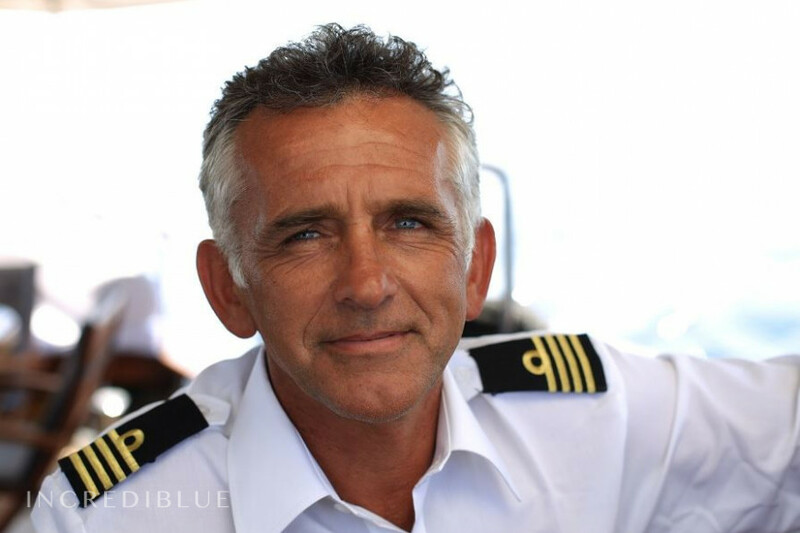 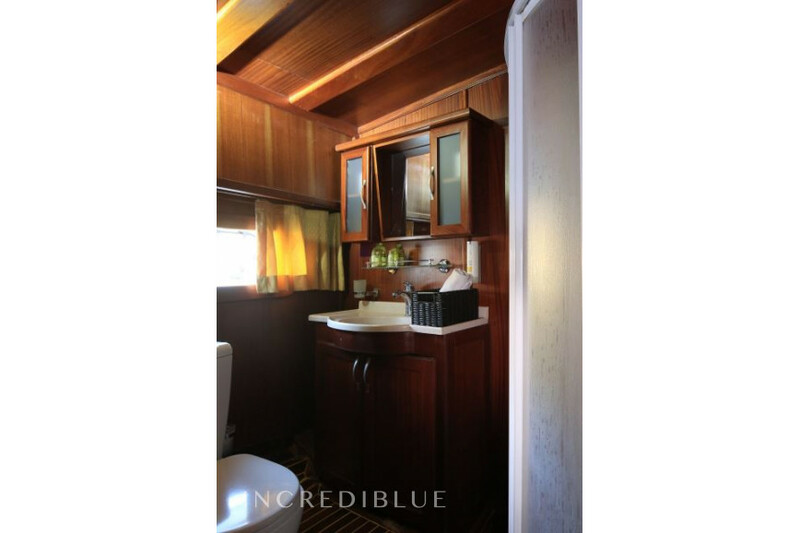 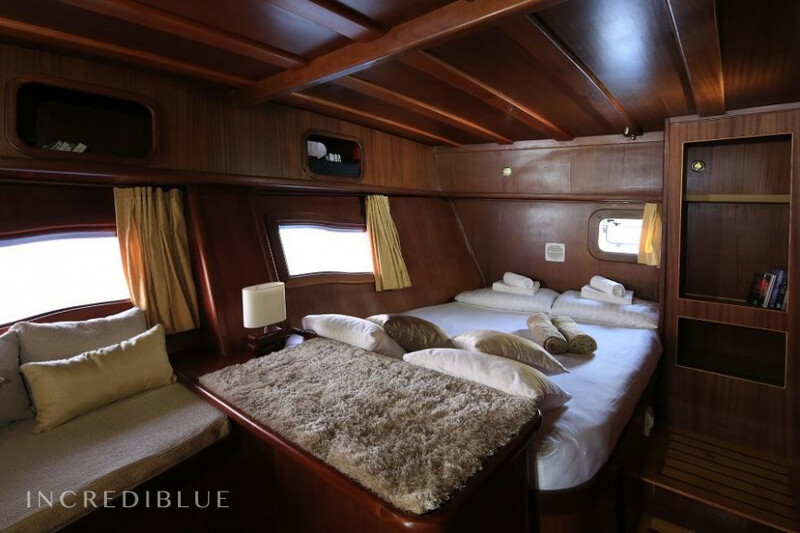 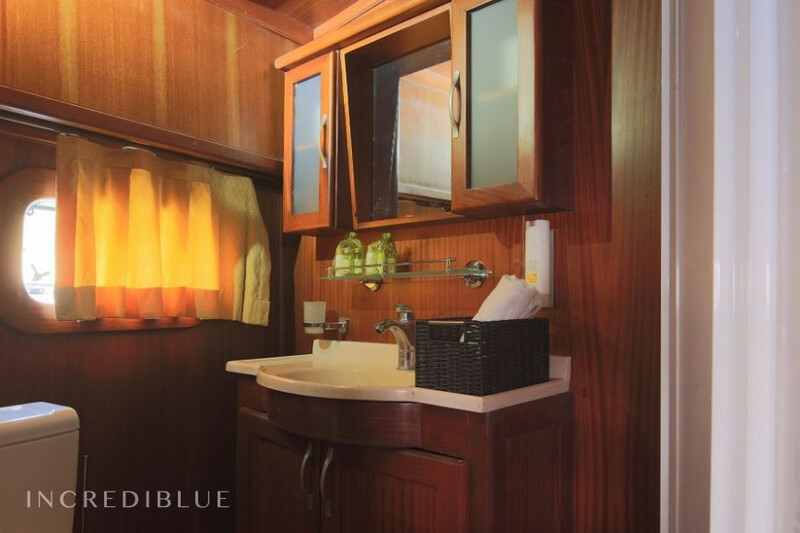 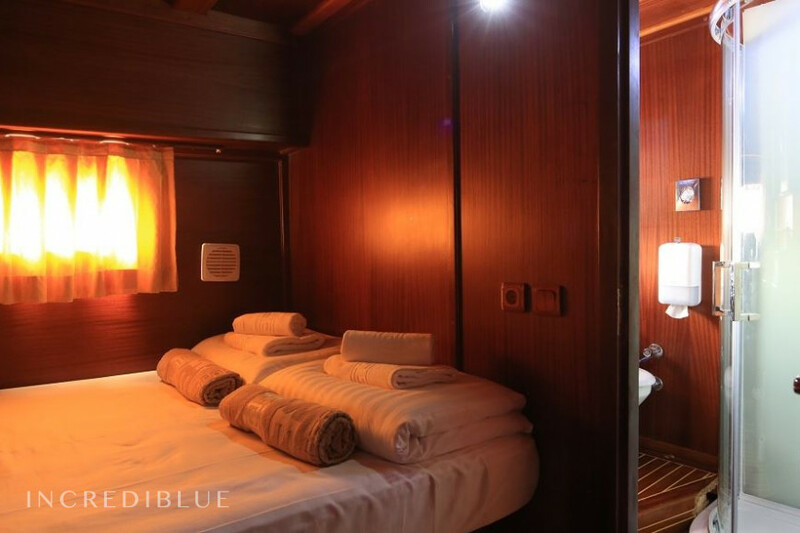 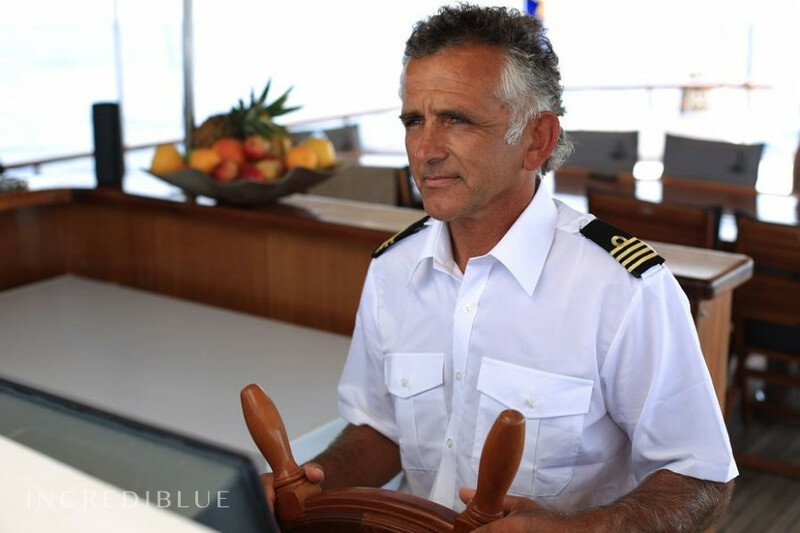 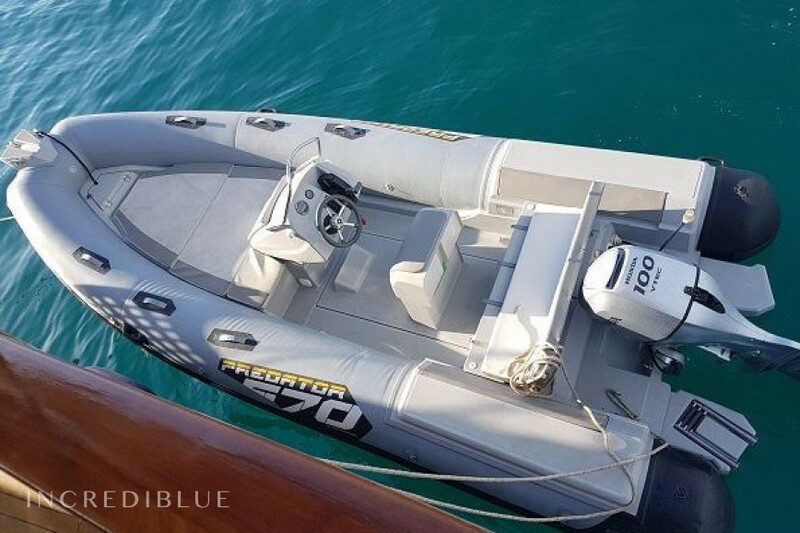 There is one master cabin, and 6 double cabins, all with ensuite restrooms, and entertainment equipment. 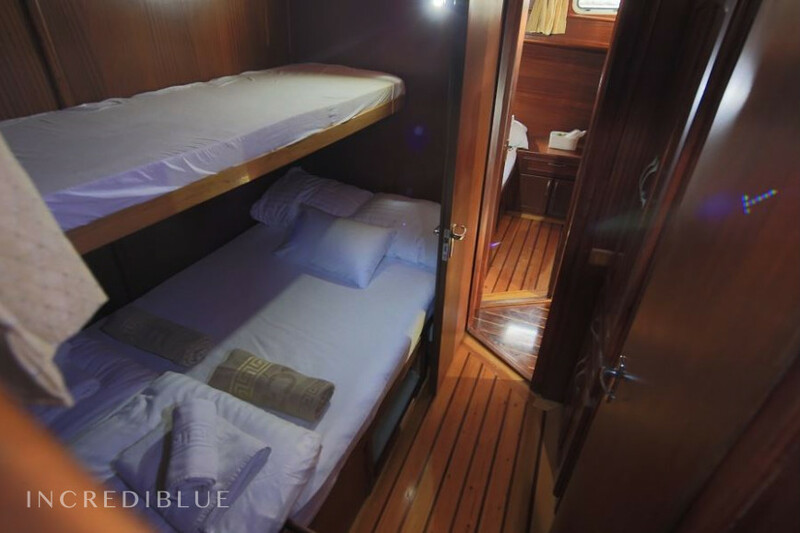 The crew, with 3 members, has its own cabins.